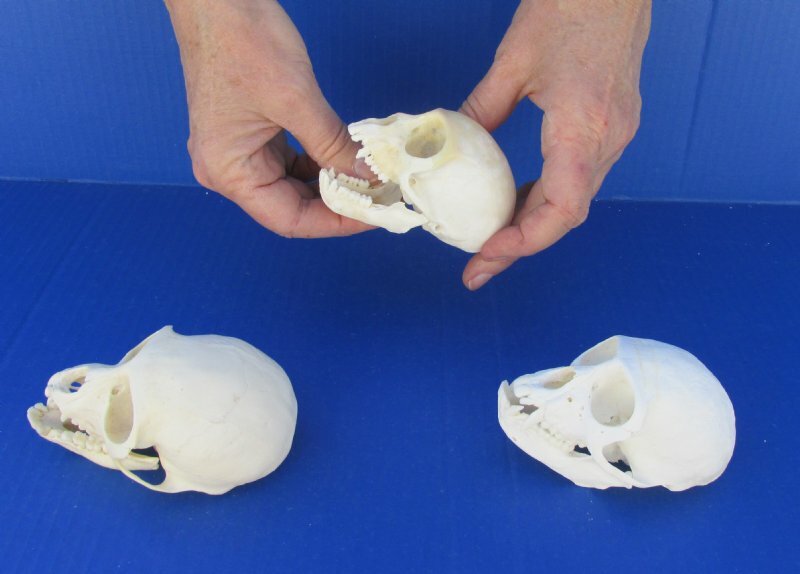 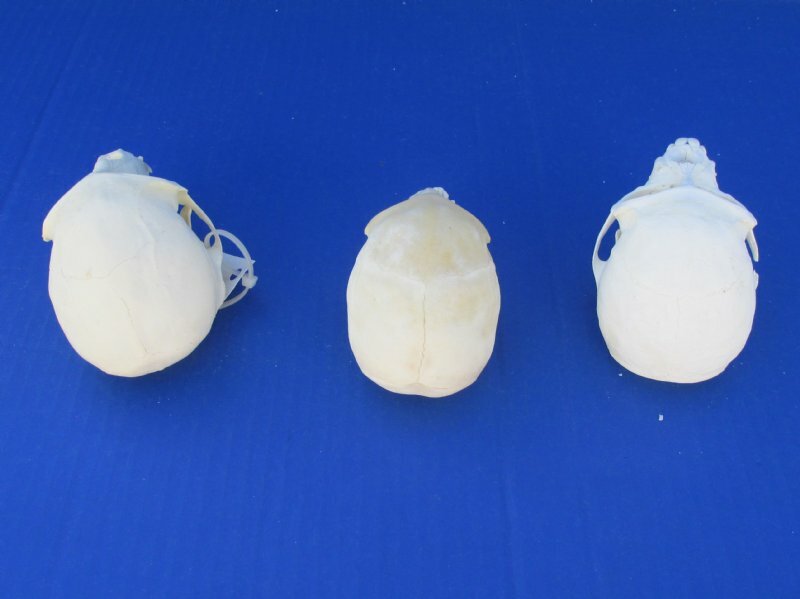 Real Female African vervet monkey skulls wholesale, Chlorocebus pygerythrus, commercial grade. Our real monkey skulls measure between 3-1/4 inches and 4 inches long by 2 inches and 2-1/2 inches wide and are imported from South Africa. 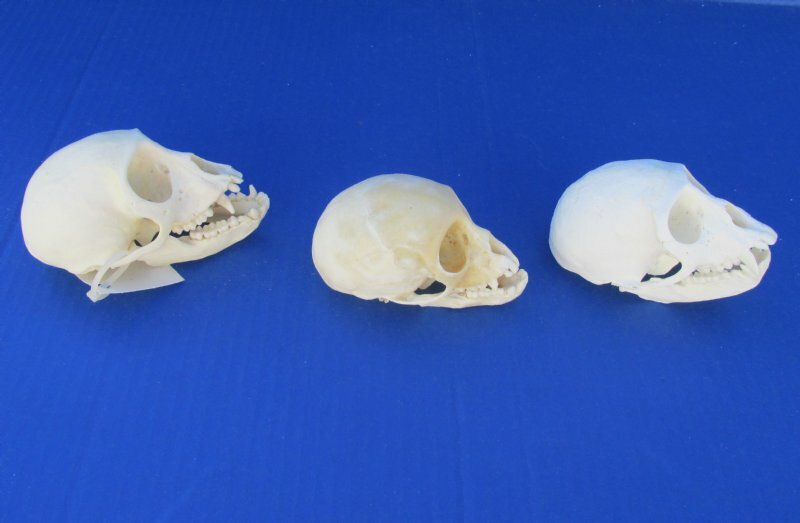 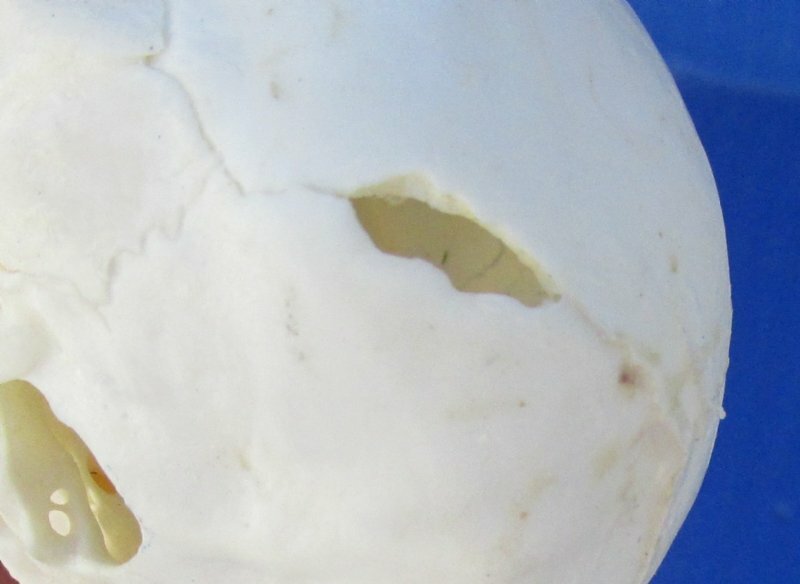 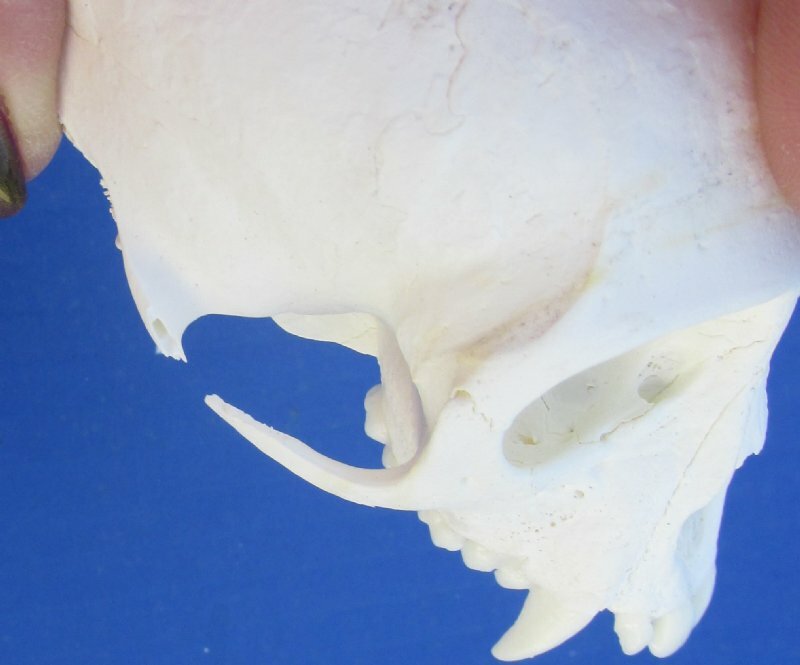 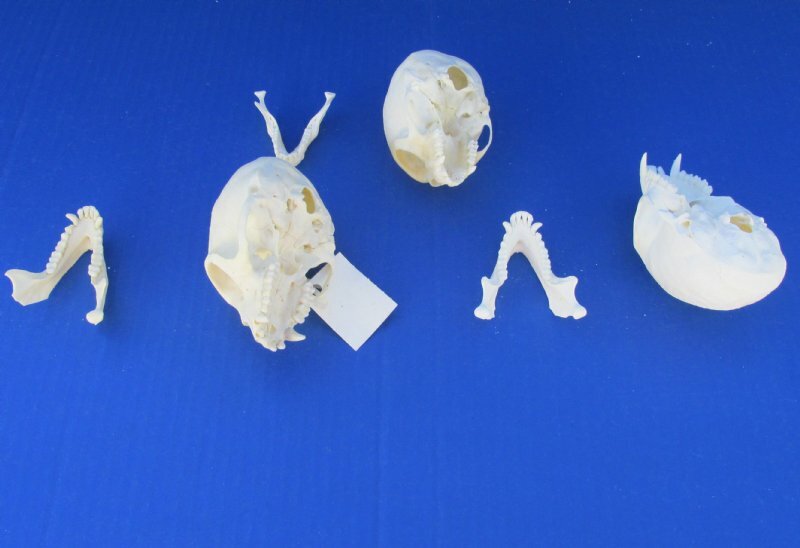 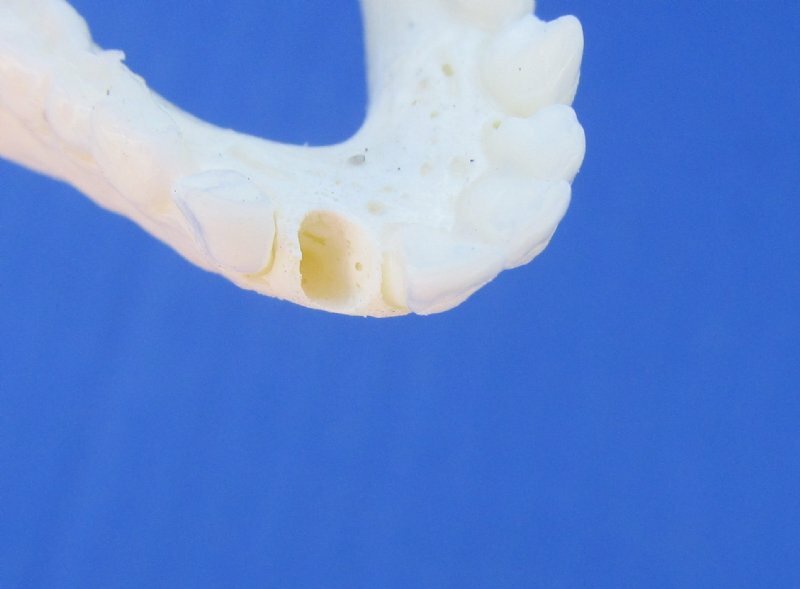 Review all photos for these are real vervet monkey skulls and will have natural imperfections such as slightly discolored, may have minor damaged areas and may be missing 1 or 2 small teeth. 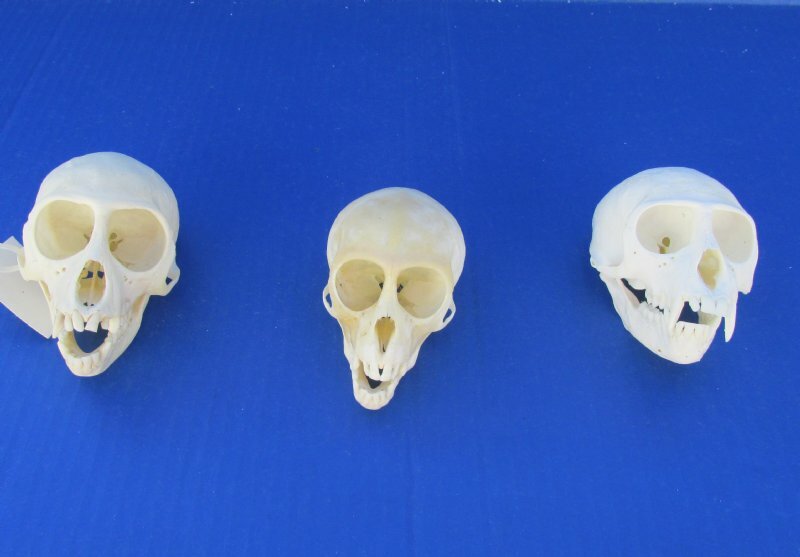 These vervet monkey is a native to Africa and is the most common of the savanna monkeys. 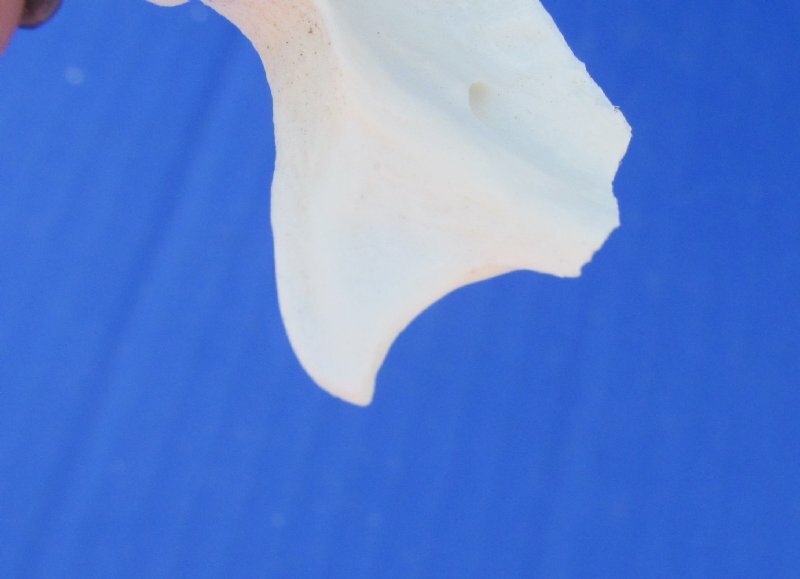 Review all photos for you will receive one similar to the picture.